← Holiday phone conversations are the best! As anybody who follows this blog knows, I have a lot of stuff. Too much, really, but that’s the danger of being an interdisciplinary artist. While I sympathize with my husband for having to cohabit with all of my “art supplies,” I found a blog last night that puts his misery in perspective. Hello Kitty Hell is the diary of a man who is married to a woman who has developed a Hello Kitty hoarding disorder. 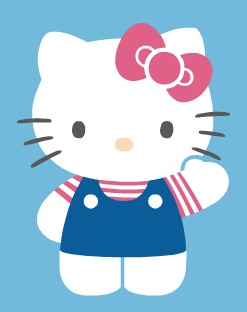 She was a normal human being until she decided to start an eBay business selling Hello Kitty items. His house is now completely engulfed in Hello Kitty merchandise, from which there is no escape. It was a little hard to grasp the context of his site at first. Intrigued, I started at the beginning. I’m not sure when the true horror of his situation dawned on me, but I think it hit when I read about the “Christmas Present” she gave him by replacing his mouse and mouse pad with a Hello Kitty version. When he displeases his wife, he is relegated to the Hello Kitty sleeping bag on the Hello Kitty futon. I’m not making this up, and I’m convinced that neither is he. I hope that when he dies he is able to go on to a much better place. Preferably one containing no pink whatsoever. This entry was posted in Humor, relationships and tagged blogs, hello kitty hell, HelloKitty, Humor, Sanrio. Bookmark the permalink. 1 Response to My husband has it good. lol! helly kitty sleeping bag on the hello kitty futton. crap.